Canadian earth atmosphere satellite. Atmospheric science satellite built by Bristol Aerospace for CSA, Canada. Launched 2003. Status: Operational 2003. First Launch: 2003-08-13. Last Launch: 2003-08-13. Number: 1 . Gross mass: 150 kg (330 lb). The major scientific goal of the SCISAT ACE (Atmospheric Chemistry Experiment) mission was to measure and understand the chemical processes that control the distribution of ozone in the Earth's atmosphere, especially at high latitudes. The data recorded as SCISAT orbited the Earth were to assist Canadian scientists and policy makers to assess existing environmental policy, and to develop protective measures for improving the health of the atmosphere and preventing further ozone depletion. On February 4, 1999 the Government of Canada announced the selection of the Atmospheric Chemistry Experiment (ACE) as the scientific mission of SCISAT. The ACE mission was designed to last at least two years. The Mission Scientist was Dr. Peter Bernath from the Department of Chemistry at the University of Waterloo. He headed a Science Team that included Canadian scientists as well as scientists from the United States, Belgium, Japan, France and Sweden. Scientific Payloads: ACE-FTS (Fourier Transform Spectrometer - Bomem Ltd.); MAESTRO (Measurements of Aerosol Extinction in the Stratosphere and Troposphere Retrieved by Occultation - MSC, U of T, EMS). Both instruments were designed to gather information on the chemical processes occurring in the ozone layer, approximately 8 km to 50 km above the Earth's surface. 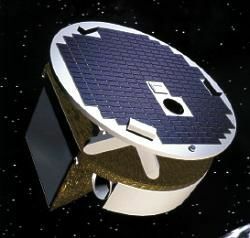 The ACE mission would work in conjunction with other instruments and missions planned by NASA, the European Space Agency, and other international partners over the next decade to gain a better understanding of the chemistry and dynamics of the atmosphere that affect the Earth's protective ozone layer. The measurements obtained by the ACE-FTS and MAESTRO instruments would be combined with data gathered by ground-based, balloon-based and other space-based projects in order to obtain the best possible information to predict future trends relating to the ozone layer and its depletion. 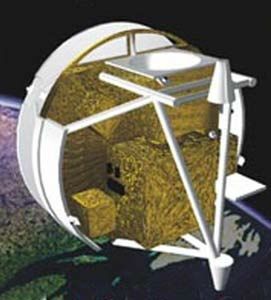 The Canadian Space Agency was flying another Canadian instrument called OSIRIS on Odin, a Swedish satellite launched on February 20, 2001. This instrument also measured the global amount of ozone and its findings would be compared with the ACE mission results. The Canadian Space Agency also launched a prototype OSIRIS instrument in April 1998 on a rocket from Churchill, Manitoba, and another similar instrument on the MANTRA balloon from Vanscoy, Saskatoon, in August 1998, August 2000 and September 2002. Family: Atmosphere sat, Earth. Country: Canada. Launch Vehicles: Pegasus, Pegasus XL. Launch Sites: Point Arguello WADZ. Bibliography: 2, 13070. 2003 August 13 - . 02:09 GMT - . Launch Site: Point Arguello. Launch Complex: Point Arguello WADZ. Launch Pad: Aircraft from Vandenberg.. Launch Platform: L-1011. LV Family: Pegasus. Launch Vehicle: Pegasus XL. Scisat 1 - . Mass: 260 kg (570 lb). Nation: Canada. Agency: CSA. Class: Earth. Type: Ionosphere satellite. Spacecraft: SCISAT. USAF Sat Cat: 27858 . COSPAR: 2003-036A. Apogee: 654 km (406 mi). Perigee: 642 km (398 mi). Inclination: 73.90 deg. Period: 97.70 min. Canadian Space Agency spacecraft which carried the ACE-FTS spectrometer to study the chemistry of the upper troposphere and stratosphere and the MAESTRO instrument to study ozone and aerosol levels in the atmosphere. Originally to have launched June 25, 2002. Delayed five more times. Air dropped in Point Arguello WADZ.